Clare qualified from Greenmount College in 2009 and has been working at Jubilee since December 2013. Clare has a keen interest in orthopaedic and emergency surgery and has gained a certificate in emergency and critical care. Clare has recently gained her city and guilds certificate in exotic species. Outside of work Clare enjoys spending time with her horses and Labrador. 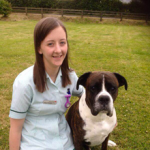 Katie has obtained her BSc (Hons) in veterinary nursing from Edinburgh Napier University in July 2015. 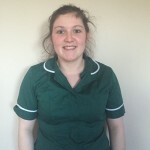 Katie started her career at Jubilee in May 2012 on a university placement and progressed to a part time job at the practice in 2014. Outside of work Katie enjoys spending time with her Boxer dog and three horses. 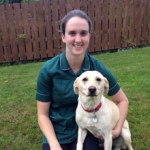 Siobhan joined the team in November 2015 and has just qualified as registered veterinary nurse. 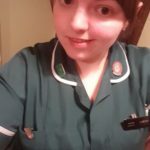 Emma qualified from Dundalk institute of technology in October 2015 and joined the nursing team in June 2016. In her spare time she likes to be out farming. She is also a country music fan and can be seen dancing around the floor at dances up and down the country.